When India and Pakistan were given independence in August 1947, the British Government gave the choice to the Princely States, existing then in the Indian sub-continent, to join either India or Pakistan. With the efforts of Sardar Vallabhai Patel, the then Home Minister, who was also known as the ‘Iron Man of India’, 566 Princely states (excepting 3 states) chose India. At that time, Jammu & Kashmir State was ruled by Maharaja Hari Singh (Father of Dr Karan Singh, a well known leader presently). The state, with a majority of Muslims, was ruled by a Hindu King. The state consisted of Jammu, Kashmir and Ladak. While the Kashmir Valley had a majority Muslim population, the people in Jammu and Ladak were mainly Hindus, Sikhs and Buddhists. As he was under pressure from both India and Pakistan to accede to their Governments, he postponed his decision. Meanwhile, in October 1947, Pakistan organised a clandestine invasion of the State by a force of Pathan tribesmen, ex-servicemen and soldiers ‘on leave’. They broke out in Pooch in Southwest of Kashmir. The Pakistan army gave them full support and back-up as they wanted to capture Kashmir within a week. Maharaja’s army could not withstand this sudden invasion. 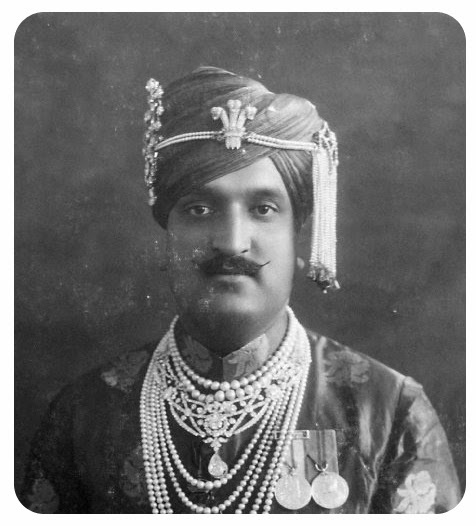 In the afternoon of 26th October 1947, Maharaja Hari Singh (photo) offered to accede to India and this was accepted by the then Governor General Lord Mountbatten on the following day. Within a few hours, the Indian Army was sent to Kashmir valley to drive out invading tribal people and Pakistan army men. 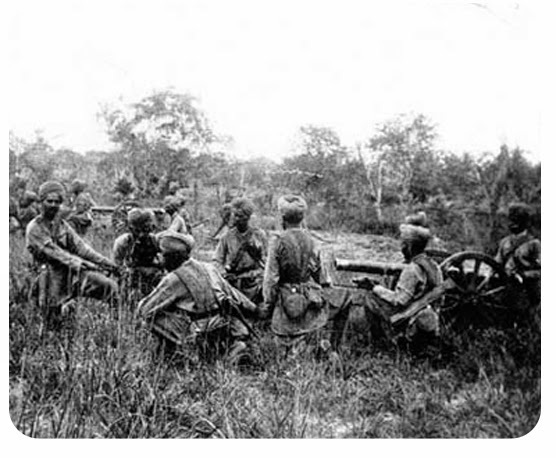 The Indian Army was highly successful in chasing out the invaders. Had they continued for another week or a little more, they would have flushed them out completely. Meanwhile, the Indian Army got the orders to cease fire and to halt the advance to Muzaffarabad. The British Commander, Russell was surprised by the orders. He felt they were losing a golden opportunity. He was of the view that the Indian forces should advance to Muzaffarabad and seal the border by securing the two bridges at Kohala and Domel. Sealing the entry points into Kashmir, he opined, would also relieve the pressure on the besieged forces in Poonch. The then Prime Minister Pandit Jawaharlal Nehru took up the matter with the UN Security Council and under Resolution 47 of UN, ordered Pakistan to withdraw the troops for a free and fair ‘plebiscite’ in Jammu & Kashmir region. 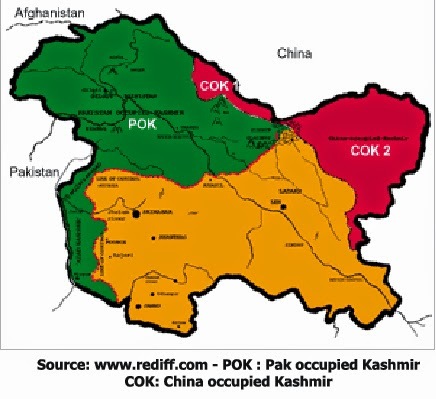 Although Pakistan did not withdraw their troops from the J & K Region, the cease fire came into force from 1st Jan 1949. Was India’s move an historical blunder? Because of this, Pakistan occupied nearly 35% of the J & K Region ruled by Maharaja Hari Singh, who acceded to India. This portion is still known as ‘Pakistan occupied Kashmir’ and the problems continues till date. Quote: Before the remaining areas occupied by Pakistan could be liberated by Indian troops, a cease fire came into effect on 1 January 1949. After bitter fighting lasting 14 months, UN mediation brought about an uneasy truce. Unquote. Since the majority of the Kashmiri people at that time were more keen on joining India, ‘plebiscite’ immediately after the flushing out invaders would have permanently resolved the Kashmir issue. Instead the then Indian Government took this issue to UN for intervention, which complicated the problem further and it remains unresolved till date.